BEFORE INDICATING how certain actions betray traits of character, and what points should be noted in determining whether or not an individual is suited for a given vocation, the relative width of the head at one more point warrants consideration. Already, in Chapter 5 (Serial Lesson 122), we found that width between the ears denotes an abundance of vital force, and that fullness just above or in front of the ears denotes constructive ability. We found also that the head wide at the temples indicates a person who has good judgment where material values are concerned. The person prominent just above or in front of the ears is a builder. He may build on the intellectual plane, or in a mechanical sense, but he constructs something. The man, on the other hand, who is wide at the temples is neither a producer nor a builder. He is a trader. He devises ways by which, through his services in handling what others produce, he gains an adequate income. But what about the man who is wide or narrow across the forehead? A forehead may be narrow above the temples, or wide above the temples, whether it be of the convex or of the concave type. When the head is wide here it indicates an exceptional kind of intellectual ability. The thinking may be slow and ponderous if the forehead is of the bulging kind, or it may be quick and brilliant if the forehead is receding, but in either case there is the quality of cold calculating reason that is not influenced to any great extent by the emotions. This kind of a head has the ability, moving swiftly or slowly, as the case may be, to synthesize facts, to weigh evidence, to form correct and just judgments from the factors submitted. It is the judicial head. It also is the type of head that can successfully handle mathematical formulas. It has both perceptive and reflective powers well developed, the stronger of these qualities being indicated by the shape of the forehead, whether bulging, straight, or convex. For intelligence look to the length of the head from the orifice of the ears forward. For judgment, look to the width of the forehead. The judge, under whom legal trials are conducted, should never be a man with a narrow forehead. A man with a narrow forehead may specialize along some line and excel in it, but he has not the brain capacity for the pursuit of knowledge along widely varied fines, nor has he the ability to bring together in proper relations, and carefully weigh the influence of, facts of widely different and numerous kinds. The all-around thinker has a head wide above the temples. This type of head is the common one among the purely mental type. The mental type, however, are thinkers and not doers. And for accomplishment in various sciences, in engineering of all kinds, and in certain types of manufacturing, in all of which the ability to handle complex mathematical formulas is an essential—work that is performed more often than not by others than the purely mental type—at least a moderate width above the temples is of paramount importance. So far we have been dealing with those traits of character, organized as thought cells within the astral body before human birth, that are so deep seated that in general tendency they are seldom greatly altered throughout life. A person of the fat type may reduce through exercise, yet he is not apt to make such a change in his roundness of contour as to be mistaken for the bony type or for the vivacious type. The Domestic thought cells are so strongly entrenched in his makeup that they constitute throughout life the dominant factor of his character. Even though a muscular person concludes that study is advantageous, and forces himself to gain a wide knowledge of literature, philosophy, and science, yet he does not thereby become a mental type. His general likes and dislikes, his spontaneous reactions to situations, will be those still of the muscular type. Neither does a man with a wide low head become a long high-headed individual by any amount of thinking. He may, it is true, on realizing his weakness in a certain direction, cultivate in a superficial way some of the traits of the high-headed man. But it will be at the expense of great effort that he can attain even in moderate degree the power to direct the actions of others that the man high over the ears naturally possesses. Nor do we expect a person with a receding chin to cultivate a protruding chin, or a blue-eyed person by willing it to become a brown-eyed person. The reason that cultivation will not bring about these changes in type, head proportion, profile, and complexion is that the mental factors which express through these physical forms have been organized through all the soul’s past evolution in countless lower forms of life. They are mapped by the positions of the planets in the birth chart. They are the product of a long period of growth and have great permanency in the character. Human life is too short to make an energetic aggressive traveling salesman out of a sensitive, retiring, stay-at-home type. The cost in energy necessary to bring about this result is too great. Consequently, where fundamental traits of character are concerned, it is much better to find a sphere of life for which the individual is adapted, than it is to try to adapt the individual to some sphere of life dissonant to his natural tendencies. There are other traits of character, however, of a more transient nature. Even as in astrology the movements of the planets after birth add new energies to the thought cells mapped by the birth chart, so there are other traits of character which are cultivated, or which are the result of habitual modes of action rather than of deep-seated tendencies. Although the thought cells in the astral body at birth may predispose an individual to think in a certain way, a variety of factors may combine to cause a certain type of thought to be present or to be absent in his habitual thinking. We may be sure of this though, that any type of thought or emotion recurring day after day will impress itself on the person’s appearance and actions. The person who habitually is cheerful and happy shows it in his countenance. The person who is habitually sad cannot hide this fact from the observer by forcing himself temporarily to be jolly. Happiness and cheerfulness tend to draw the corners of the mouth upward, to expand the chest and keep the shoulders back, to keep the body straight and elastic. Pleasure expands, and this expansiveness is apparent in the elasticity and freedom of the stride, in the poise of the head, in the whole attitude and appearance. Sadness, on the other hand, droops the shoulders, causes the body to sag, the feet to drag, the corners of the mouth to turn down, and the whole body to contract and fold in upon itself. The straight mouth indicates a person of firmness and decision. The pouting type of mouth indicates petulance. The cupid’s-bow mouth denotes affection. The sneering mouth indicates a person with whom it is difficult to get on well. Sourness, self-pity, discontent, irony, and secretiveness are all disclosed by the mouth. The man who keeps his lips tightly together and slightly drawn back is not one to tell a secret. He knows many things which he does not talk about. And the man who scarcely opens his mouth when he speaks, but talks through his teeth, is just as apt to lack freedom and generosity in other things. The mouth is exceedingly pliable, and any type of thought persistently held will have an effect upon its contour. Eyes, also, show the person to be shrewd, deceitful, timid, suspicious, bold, intelligent, mirthful, visionary, curious or desperate. It is difficult to describe how to distinguish these qualities by the eyes, but is not difficult to do through observation. A very good way to determine what a certain expression of the face signifies, or what any characteristic pose indicates, is to assume the expression or pose. Imitate it as closely as possible and then note what thoughts and feelings come into the mind. If the imitation has been accurate, and the mind has been free to grasp the suggestion, the thoughts and feelings spontaneously arising from a gesture, or attitude, or facial expression, will be such thoughts and feelings as when habitually held cause the expression to become a permanent attribute. A good deal about the character of a person may be learned from his walk. The hurried and worried business man has a hurried and nervous walk. The man who feels very dignified and important walks slowly and with head erect. A swaggering walk denotes a boaster. A strutting walk is the expression of vanity. The shuffling walk is the expression of a shiftless or dispirited character. The mincing walk indicates desire for attention. The affected walk is that of one who craves admiration. The gliding walk is that of the confidence man. The man of firmness and energy has a firm and energetic tread. The pugnacious person walks with chin out and shoulders forward as if to encounter an adversary. The nervous, high-strung man walks with a quick step. The gait of the vacillating individual shows hesitation and little changes in its direction. The step is so characteristic of the individual that we learn to know the footfall of our intimates before they reach our door. Another index to character that may be noted instantly when meeting a person is the handshake. Of course, the temporary mental attitude of the person also will be indicated in the handshake. Yet the way a person shakes hands with a stranger becomes a good index to the person’s reaction to people in general with whom he is not well acquainted, as well as his general attitude toward the person with whom he is shaking hands. The man who grips your hand as in a vise and pains it with his forceful squeezing is a ruthless individual who is hard in his dealings, who uses force in his efforts, and from whom little pity may be expected. The person of opposite extreme, who gives a drooping, lifeless hand, is a negative individual, lacking in stamina, courage and aggression. He has no more feeling and interest than his hand betokens. The hot hand indicates a fiery tempered individual. A cold hand indicates lack of warmth and enthusiasm. A clammy hand indicates lack of sympathy and affection. A warm hand signifies geniality, and a hand of moderate temperature denotes that the emotions are well under the control of reason. The person who shakes hands deliberately, is apt to be deliberate in other things. The impulsive handshake denotes general impulsiveness of conduct. The still, unyielding handshake denotes a conventional and unyielding nature. The warm, firm, elastic handshake in which the hand is not too quickly withdrawn, indicates a friendly nature. Usually the person who holds another’s hand too long or in any way exhibits undue affection in his handshake is insincere and striving to make an impression for his own advantage. In the voice, also, we have another index to the character. The low-pitched voice is that of the man of action and that of the man of emotions. The high-pitched voice is that of the thinker, or that of the person under nervous tension. Coarse, harsh tones go with coarse, harsh natures. Hard tones and metallic qualities indicate hard qualities and irritability in the character. The complaining voice is high pitched and has a suggestion of a whine in it. The thin voice of high pitch denotes lack of strength and virility. The loud voice is that of a person of energy which is not well controlled. Softer tones indicate better control. Resonance in the voice is an indication of reserve power. The art of reading character by handwriting is a study of considerable proportions, as is the study of character reading from the hand. It is not my aim here to teach chirography or palmistry, but to indicate character expressions that may be recognized at a glance. The types of hands I have already considered under the five types of people and in the remarks on handshaking. Therefore, a few words on handwriting may not be amiss. A person of careless disposition shows carelessness in his handwriting. Neatness and order are shown in the neatness and regularity of the letters. Large letters and generous margins indicate a generous nature, or if very large, one who is extravagant. Unnecessary flourishes to the letters indicate pretense and affectation. Heavy vigorous writing indicates force rather than delicacy. Small neat writing indicates a careful, modest nature. And if the margins of the paper are used to take advantage of all the available space it indicates extreme economy. Rounded letters show love of ease, angular letters indicate aggression and impatience. Mussy looking writing comes from the slovenly person. Every letter on the line and just the right height is the writing of the precise, even-tempered and conservative person. When the lines start large and get smaller toward the end it indicates the person is one who has a tendency to undertake more than can successfully be accomplished. When the letters commence of moderate size and are larger at the end the person is one who more than carries out his plans and obligations. Writing that slants uphill denotes optimism and buoyancy. Writing that slopes downhill indicates pessimism and despondency. When the letters are printed, or some unusual form is followed throughout, it indicates originality and independence tending toward radicalism. When the letters are often unconnected, and some of them run uphill and some down, and their size constantly varies, the writer is undependable and a changeable person. A little thought on the matter will suggest to the student the general significance of any particular type of writing, what is signified by wearing a particular type of clothing in a particular way, and what is indicated by any habitual gestures. It is but a reasoning from effect back to cause, and then verifying the correctness of the judgment by further observation. But, after all, the knack of judging character instantly, or more deliberately either, for that matter, is not an end in itself, but a means to an end. That end is to know just what may be expected of a person under any given set of circumstances. It is advantageous to us to realize the motives of those who try to interest and influence us. It is to the advantage of all that when we select a vocation it shall be one in which we can attain greatest success. It is of equal advantage to society that when we employ another we shall employ a person fitted for the work at hand, and that when we work for another we recognize just the kind of service with which our employer will best be satisfied. There are by far too many persons following vocations for which they are totally unfitted. As a consequence they manage to eke out a meager existence at some employment for which they have neither ability nor liking, when had they but chosen some vocation for which they were better fitted they would be much happier, much more successful, and of much greater value to society. I know of no system of character reading other than astrology that can point out both the occupation for which there is the most natural ability and the particular department of it where the most harmony and the least discord will be attracted. Let me illustrate: A man may be fitted by natural ability to be a manufacturer. That is, his greatest ability is in connection with the manufacture of something. This can be determined by astrology, and it may be determined also by the methods of instantaneous character reading explained in the present course of lessons. But this man may have thought cells so organized in his astral body as to cause him to be in great danger whenever he is associated with machinery. Or he may have thought cells so organized in his astral body that in spite of his great ability as a manufacturer they bring him great and repeated financial loss through unforeseen conditions that crop up in the market or through fires that burn down his factories, or through labor troubles. A man might thus be a great success as a manufacturer, but early lose his life through being associated with such work, or he might be a good manufacturer, but constantly embarrassed financially through heavy losses that could not be foreseen. Astrology indicates not only where a person’s greatest talents lie, but also through associating with just what things, and where, that talent may be exercised to bring the greatest reward and success. The manufacturer who is in constant danger of accident from machinery could be warned of this by studying astrology, and could engage successfully in the manufacture of something where the danger would be very small or none. And the manufacturer who suffers repeated loss through unfortunate circumstances, might have been warned of this by studying astrology, and have made a pronounced success, not in the actual business of manufacturing, perhaps, but, say, in editing a trade journal having to do with such manufacture. Astrology indicates the particular associations that increase the harmony and decrease the discord. The natural aptitudes of an individual do not depend upon the harmony or discords of the thought cells, but upon the Power and volume of energy possessed by the thought cells within the soul the expression of which is essential to the required activity. And as the power and volume of energy of each of the ten families of thought cells not only manifests as a type of natural aptitude but also as a type of the physical form, we can employ instantaneous character reading quite successfully in selecting an individual’s natural aptitudes. Usually in employing another an employer is more concerned about the character of the person and his ability successfully to accomplish what the work demands than he is about whether, in the long run, the employee will be more lucky in such employment or in some other. And in working for another, it is usually quite sufficient to know just what the employer expects, and just what will please him and lead thus to advancement, without bothering about whether the employer has chosen the most successful line to follow. And for such purposes instantaneous character reading will suffice. The fact still stands, however, that the so-called LUCK factor is about as important for outstanding success in any vocation as is ability. And I know of no method other than through astrology by which this LUCK factor as influenced by each particular type of environment or each factor of association can be determined. 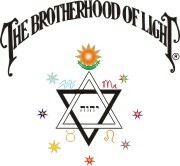 As a consequence The Brotherhood of Light Astrological Research Department has set itself the task of ascertaining, through analyzing the timed birth charts of 100 persons following each vocation, not only what groups of thought cells must be unusually powerful to give an aptitude for the vocation, but also what degree of harmony must be present in the organization of certain groups of thought cells to give sufficient LUCK to enable the individual to succeed in using such natural aptitudes amid the common surroundings of the vocation that he may make a success in it. The aptitudes are shown in the birth chart by the prominent planets, for these map thought cells with more than average energy. 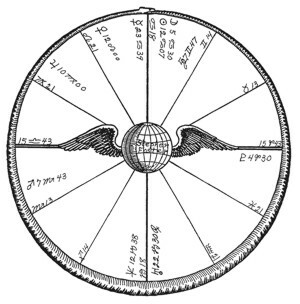 The LUCK which will be attracted through a given association is indicated by the harmony or discord of the planet ruling that which is associated with, and this is indicated by the aspects of the planet thus signified. At the time this is written The Brotherhood of Light Astrological Research Department has covered in this painstaking and thorough manner 25 different vocations. The detailed analysis of each, including the statistical presentation of the analysis in terms of percentages, is published in the Supplementary Writings on HOW TO SELECT A VOCATION. More vocations are being added to the list of those thus astrologically analyzed as rapidly as we can acquire the 100 timed birth charts of those following any one other vocation. While these lessons on selecting a vocation through a careful analysis of the birth chart indicate the best possible method of selecting a vocation, in hiring others it is not always feasible to employ the astrological method. 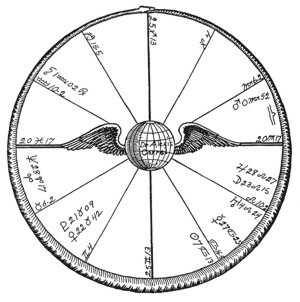 Furthermore, the minor qualifications and traits of an individual, such as often are revealed to one familiar with character analysis in one swift glance, require for ascertaining them a consideration of the various aspects in a birth chart, in addition to the prominence of planets and houses which so quickly denotes the individual’s broader natural aptitudes. In reference to these broader natural aptitudes as shown apart from any consideration of a birth chart, I have already pointed them out as associated with certain types of body, types of heads, types of profiles, etc. A little thought will reveal the chief qualifications essential to following a given vocation. These qualifications may be ascertained by a glance at the individual who aspires to follow the vocation. Not only to indicate how the qualifications for the vocations which follow may be ascertained at a glance but also through these examples to indicate the method which may successfully be used relative to the many other vocations which are not here listed I shall devote the balance of this chapter to as many important vocations as available space will permit. And in so doing, in connection with each vocation here listed on which we have completed the analysis of 100 birth charts of those following it, I shall note also the planets and houses which we have found must be prominent and more than usually active in the charts of those who have sufficient natural aptitude for it to be somewhat successful. The analysis of the birth charts of 100 teachers indicates that they must have the Intellectual thought cells active, for Mercury is prominent in most of these charts. Also, both the ninth house, which relates to teaching and expression of thought, and the fifth house, which relates to schools and children, nearly always are outstandingly active. It goes without saying that the educator should be predominantly of the mental type. Yet in our public schools there are far more of the muscular type acting as teachers, and even more of the bony type than of the mental type instructing the children of the land. This accounts for the very low efficiency of our public schools. Of course, to give a sympathetic understanding of human nature that will conduce to imparting knowledge, a teacher should have a full backhead; be long from the ears back. An instructor in science, and particularly one who does laboratory work, should have a receding forehead. If he is to teach history, philosophy or mathematics the bulging or straight brow is better. To speak readily, and thus give voice to his knowledge, he should be moderately full at the mouth. And if he is to be content as merely an instructor he had better be a brunet to give him the ability to follow routine, and his head should not be too high above the ears, else he will soon be seeking a more suitable outlet for his ambition. If he is a blond, and rather high above the ears, he will irk at the routine work of acting as instructor, and had better take up lecture work, where he can exercise his personality on the public platform, and find both change and scope for the exercise of whatever creative talent he may possess. The analysis of the birth charts of 100 doctors indicates that they must have the Aggressive thought cells and the Religious thought cells active, for both Mars and Jupiter are prominent in 99% of their charts. This means they should be wide just in front of and above the ears, and high over the temples. In addition, the thought cells mapped by the sixth and twelfth houses should be more than usually active. First of all a doctor must be a scientist of no mean skill and have the ability to apply his knowledge practically. This requires that his head should be long from the ears forward, and that his forehead be of the receding type rather than bulging. Then, to get the confidence of his patients, and not undo by his personality and suggestions what he is trying to do with his science he should be long from the ears back. This gives him sympathy and a knowledge of human nature. The doctor should not be low over the temples, for he needs imagination in the solution of the baffling problems he meets in his profession. Neither should he be too narrow between the ears, as there are constant drains upon his vitality. If he is also to practice surgery he should be wide just above and in front of the ears. He should not be too fine in texture, and while having a good intellect yet not be too strongly of the mental type, otherwise he will be affected too much by the suffering of his patients. The fat type and the vivacious type are not suited to this profession, for there must be strong application to order, system and detail. The analysis of the birth charts of 100 lawyers indicates that they should have the Safety thought cells, the Intellectual thought cells, the Individualistic thought cells and the Religious thought cells active; for Mercury or Uranus was prominent in 100% of their charts, Saturn was prominent in 99%, Mercury was prominent in 96%, Uranus was prominent in 95%, and Jupiter was prominent in 89%, of them. In addition, the thought cells mapped by the ninth house should be more than usually active. The practice of law exercises varied talents. The preparation of briefs requires sustained application, and a mind given to research and the coordination of facts. Such qualities may be expected from the brunet who is long from the ears forward, and who has a slightly receding brow. If the forehead is also wide, so much the better, for he will have the ability to analyze and weigh the evidence at its true value. As a pleader the blond has greater natural aptitude, for he is resourceful and more daring. He is apt to see a point quicker and take better advantage of it than the brunet, but his intellect must be logical and orderly, hence his forehead should be wide above the temples. The man who is high at the temples and long from the ears back and whose mouth is out-curving often has much success in swaying a jury, for his imagination and understanding of human emotions enables him to make an appeal to the sentiments that completely dislodges logic, facts, and argument. Such a man, however, has not the ability to collect the material for argument based solely upon facts. A partnership between a plodder with a head long from the ears forward, even with a bulging forehead, and one who has no knack for facts and logic but who has the gift of oratory, as indicated by height over the temples, long backhead and prominent mouth, often proves a great success. First of all, the clergyman must be idealistic, hence he should be high over the temples. If he is to be able to interpret his ideals intelligently he should have a good intellect, and should both be long from the ears forward and have width of forehead. This width will give him the ability to reason. If his head is too high above the ears he is apt to develop into a bigot, for he will then have no regard for anyone’s views but his own. He should also be long from the ears back, to give him sympathy and an understanding of human nature. Otherwise he may be able to reach the intellect of those to whom he talks, but he will not touch their hearts. The mouth should not be in-curving, lest his talk prove laborious. And he should have a prominent chin, so that he will not desert his calling for some other field at the first adverse wind. Dramatic ability is ruled by Neptune. Entertaining of all kinds is ruled by the fifth house. The analysis of the birth charts of 100 moving picture stars indicates that they must have the Aggressive thought cells, the Individualistic thought cells, and the Utopian thought cells active and usually also the Intellectual thought cells and the Social thought cells active; for Mars, Uranus, Neptune, and usually Mercury and Venus are prominent in their charts. In addition the thought cells mapped by the fifth house should be more than usually active. Those of the vivacious type make the best entertainers. The head need not be long from the ears forward, but should be high above the temples to give imagination and resourcefulness. It should be long from the ears back to give emotional quality and the knowledge of how to reach the emotions of others. This is work for the elastic individual. If there is also width between the ears so much the better, for it will endow a vital force which unconsciously others feel and to which they respond. Of those unsuited to such work the bony type and the mental type are least fit. Blonds do better in those roles that depend on spontaneity and personality, and brunets excel in those that require long periods of application and training. The analysis of the birth charts of 100 musicians indicates that they must have the Aggressive thought cells, the Safety thought cells the Domestic thought cells, the Utopian thought cells, and usually also the Social thought cells active; for Mars, Saturn, Moon, Neptune, and usually Venus are prominent in their charts. In addition the thought cells mapped by the fifth house should be more than usually active. The musician, to become successful, requires the ability to apply himself to sustained effort in the matter of practice. Such effort is better suited to the brunet than to the blond. The head should be long from the ears back to supply sympathy and human understanding that may be interpreted in musical terms. The head also should be high over the temples to give imagination and ideals. If the work be vocal the head should be quite wide between the ears, as great vitality is necessary for success in this field. If there is enough of the muscular type present also, the fat type succeeds admirably in the field of music. Being emotional, they love music, and have natural ability in its performance. But they dislike the effort and discomfort of persistent practice. If you will observe almost any large orchestra, you will find by far the majority of players to be brunets, and mostly of the muscular or bony type. Perseverance is the keynote to their success. The analysis of the birth charts of 100 writers indicates that they must have the Intellectual thought cells exceptionally active, for in 95% of their charts Mercury was prominent and in 91% of their charts it was in aspect to Sun or Moon. An active third house is helpful. In addition, the thought cells mapped by the ninth house should be more than usually active. The fiction writer needs imagination, therefore his head should be high over the temples. He needs sympathy and understanding of human nature, hence his head should be long from the ears back. He needs to be theoretical and visionary rather than practical, hence his forehead may well be of the straight or the concave type. He needs also a wide knowledge of facts and conditions, which requires that the head be long from the ears forward. And he needs logic to weave his incidents together in a plausible manner, and this suggests that a wide forehead is no disadvantage. The brunet is more suited to this kind of work than the blond, for the blond chafes at the confinement and inaction. This is hardly the kind of work for the pure mental type, but it is well to have the mental as the next strongest element. The analysis of the birth charts of 100 engineers Indicates that they must have the Individualistic thought cells, the Aggressive thought cells and the Safety thought cells active; for Uranus, Mars and Saturn were prominent in all. Engineering requires ability to construct, mathematical ability of a high order, practical considerations as well as those theoretical, ability to command others, and the ability for vigorous and sustained activity. The head should be long from the ears forward and wide above the temples if there is to be the ability to handle intricate mathematical formulas, for such mathematics are the very essence of the engineer’s profession. Then, to insure constructive ability, which is equally important, the head should be wide above and in front of the ears. To be able to direct others effectively the head should be high above the ears. The nose should be large, and straight or convex, to enable him to enjoy vigorous sustained physical activity, and the chin should be prominent to give the tenacity and determination to push a venture to a finish in spite of obstacles. The bony type and the muscular type, when the intellect is sufficient, are best suited to this profession. The mechanical engineer need not be a lover of change and movement, and this field is better filled by the brunet. But civil engineering, electrical engineering, structural engineering and mining engineering all require much movement and change and are better suited to the inclinations of blond men. The analysis of the birth charts of 100 machinists indicates that they should have the Aggressive thought cells, the Safety thought cells, the Individualistic thought cells, and preferably the Intellectual thought cells also, prominent; for Mars was prominent in 99%, Saturn was prominent in 98%, Uranus was prominent in 96%, and Mercury was prominent in 95% of their charts. Working with machinery is employment better suited to the muscular type. The bony type is next best fitted for such vocation, and the third choice is the fat type. The chief requisite is that the head be wide above and in front of the ears to give constructive ability, and that there be skill with the hands. Much the same qualities are required in the structural worker. He may be an ironworker, a carpenter, a mason or a plumber. As he deals with practical things, it is better if his forehead is convex. It is work for the muscular type, and the head should be wide above and in front of the ears to give constructive ability. Tedious work, such as plumbing, is better suited to the more plodding brunet. The blond delights in outside work where there is plenty of room for action by which to work off his surplus energy. The analysis of the birth charts of 100 store clerks indicates they should have the Safety thought cells, the Universal Welfare thought cells, the Religious thought cells, the Domestic thought cells and the Intellectual thought cells active; for Saturn was prominent in 100%, Pluto was prominent in 99%, Jupiter was prominent in 98%, the Moon was prominent in 97%, and Mercury was prominent in 96% of their charts. In addition the thought cells mapped by the first house and those mapped by the seventh house should be more than usually active. The type best fitted for retail merchant is the fat type. But if he is to succeed he should be wide at the temples to give him good judgment regarding material values, and he should be long from the ears back to give him knowledge of human nature and the ability to make his customers like him. If he is a blond he will draw trade by his qualities as a “mixer.” If he is a brunet he will keep trade by the quality of service rendered. The first requisite of a banker is that he should be wide at the temples to give him good judgment as to material values. Next he should be long from the ears forward to give him intellectual capacity, for he must have many facts stored in his mind, and finally he should be fairly broad above the temples to give the power of cold analytical reasoning. If he is to be content with banking and the handling of gilt-edged securities he may be a brunet. But if he is to venture into the realm of speculative finances his chances are better if he is a blond, for the blond has a natural aptitude for taking hazards and coming through unscathed. As the jeweler constructs, he should be wide above and in front of the ears. As he handles fine materials he should be a fine-textured person. His trade requires the use of delicate tools and painstaking effort, all of which is better suited to the brunet than to the blond. The work is of an artistic rather than practical value, which indicates that the forehead should not be receding. Imagination and art must be employed, which would be furnished by height of the head over the temples. Artistic appreciation, constructive power, and detailed manual application are the chief requisites. The dentist also needs artistic ability, and should be high over the temples as well as a person of refinement. He must have constructive ability of a high order, hence should be full above and in front of the ears. Further, to be successful he should be a “good mixer” and be able to turn quickly from working on one patient to work on another. This is employment for the vivacious type. The analysis of the birth charts of 100 farmers indicates that they must have the Safety thought cells active, and that they should have also active Universal Welfare thought cells and active Domestic thought cells; for Saturn was prominent in 100%, Pluto was prominent in 92%, the Moon was prominent in 88%, and either Pluto or the Moon was prominent in 100% of their charts. In addition, the thought cells mapped by the fourth house should be more than usually active. Agriculture may be followed to best advantage by the bony type. The brunet takes better to raising crops, not minding the routine and drudgery. The blond likes better to raise cattle, which gives him occasion for wider movement and greater variety of experience, together with an occasional element of excitement. The mental type and the vivacious type should never try to follow agriculture. The analysis of the birth charts of 100 politicians indicates that they must have the Power thought cells and the Individualistic thought cells active, and that it is better for them to have the Intellectual thought cells and the Religious thought cells also active; for the Sun was prominent in 100%, Uranus was prominent in 97%, Mercury was prominent in 86%, and Jupiter was prominent in 84% of their charts. In addition, the thought cells mapped by the tenth house should be more than usually active. The politician’s greatest asset is his ability to influence his fellowman. His head, therefore, should be long from the ears back. And to give him the power to govern others his head should be high over the ears. In addition to this, his head should be long enough from the ears forward to give him shrewdness and intelligence. The politician should be long headed and high headed. And if he is of the vivacious type, his success becomes so much the greater, for he will make everyone like him. Low-headed plodding brunets are not fitted for political work. The analysis of the birth charts of 100 salesmen indicates that they must have either the Religious thought cells or the Individualistic thought cells active that it is better to have both, and also the Intellectual thought cells active; for either Jupiter or Uranus was prominent in 100%, Jupiter was prominent in 92%, Uranus was prominent in 89%, and Mercury was prominent in 85% of their charts. The traveling salesman needs a receding forehead to make him a quick thinker, and he needs a head long from the ears back to enable him to understand human nature and appeal to the emotions and sympathies of others. Blonds take to this work better than brunets, for they are greater lovers of action and change. The vivacious type excels in this field because of his ability as a “mixer.” He should have a high head above the temples to give him imagination, for his is an art of persuasion in which it becomes necessary to create an atmosphere. And, because he sells through vocal expression, his mouth should be of the convex type to give him fluency of speech. Very different qualities must be possessed by the advertising man than by the traveling salesman. Both must have originality and imagination, and so should be high over the temples, but there the similarity ceases. The advertising man must be able to think ahead and plan a campaign in detail. He must visualize human desires and scheme out a way through which by persistent effort and suggestion he can turn those desires to focus upon the thing he is trying to sell. He must be long from the ears forward to give him intelligence, and he must be wide between the temples to give him order and system and the ability to organize his thoughts. Such work is not for the vivacious type, but better suited to the bony type who also has the mental as his second strongest characteristic. The analysis of the birth charts of 100 aviators indicates that they must have the Utopian thought cells, the Aggressive thought cells and the Individualistic thought cells active; for Neptune was prominent in 99%, Mars was prominent in 96%, and Uranus was prominent in 94% of their charts. In addition, the thought cells ruled by the ninth house and those ruled by the third house should be more than usually active. The aviator should be quick to think and quick to act, therefore he should not have a bulging forehead or a swayback nose. The out-curving face gives quicker adaptability to the changing conditions and emergencies he must meet. While considerable endurance is an asset, such as a bony framework denotes, elasticity such as the texture of the flesh may indicate, is even more valuable. To handle the various gadgets the head should be amply long from the ears forward; but this is not work suited to the extremely mental type. Height over the head is a good indication as it denotes imagination; and imagination is of assistance in handling a craft far from easily recognizable landmarks. For the required mechanical ability the aviator should be amply broad at and above the ears. On account of the initiative required, and the necessity of change, and the meeting of new situations, the blond is better suited to this work than the brunet. The analysis of the birth charts of 100 cosmeticians indicates that they should have the Aggressive thought cells, the Social thought cells, the Domestic thought cells, the Universal Welfare thought cells and the Utopian thought cells active; for Mars was prominent in 99%, Venus was prominent in 93%, the Moon was prominent in 90%, Pluto was prominent in 90%, Neptune was prominent in 88%, and either Neptune or Pluto was prominent in 100% of their charts. Because this work requires constructive ability, the individual should not be too narrow at and just above the ears. The out-curving mouth often is an asset, as it gives ability to keep the customers entertained with ready conversation. The head should be long from the ears back, for the cosmetician should have sympathy for, and be able to deal readily with, people in general. While the others, except the extreme mental, can follow this occupation, it is particularly suited to those of the vivacious type. July 4, 1826, 0:30 p.m. 80W. 40:27N. Data recorded in his family Bible. 1846, some songs first popular: Venus sextile Moon r, Mercury semisquare Sun r.
1848, first successful songs published: Venus sextile Mars r.
1849, Nelly was a Lady: Mercury sextile Saturn p, Sun trine Pluto r.
1851, Successful partnership with Christy; The Old Folks at Home: Sun sextile Moon r, Venus sextile Sun r, Mars sesquisquare Saturn p.
1852, Massa’s in de Cold, Cold Ground: Venus trine Neptune r.
1853, My Old Kentucky Home: Mercury sextile Moon r.
1860, Old Black Joe: Venus trine Uranus r.
June 28, 1873, 11:11 p.m. 4:30E. 44N. Data from Howard M. Duff. 1906, Member Rockefeller Institute for Medical Research, later be came its outstanding researcher: Venus sextile Moon r.
1912, winner Nobel prize: Venus trine Mars r.
1931, winner Nordhoff-Jung Cancer prize: Mars sextile Saturn p, Venus sextile Pluto r.
1935, published, Man The Unknown: Mars square Jupiter r, Venus semisquare Jupiter p, ruler of 9th. 1937, Newman Foundation award: Venus conjunction Mercury r.
1938, with Charles A. Lindbergh (chart in lesson No. 109),published, The Cultivation of Organs: Sun P Jupiter p, Mercury square Pluto r.